NHL 19 will be adding a new level of depth to its Franchise Mode with a new Scouting system. Users can build a squad of up to 20 scouts that will affect drafting, trading, free agency, and waiver wire pickups. Scouts will have 30 ratings that determine their ability to scout players along with two areas of expertise known as Evaluation Abilities and Region Familiarity. Evaluation Abilities help them to determine player related skills and the scout's ability to discover prospects. Region Familiarity indicates a scout's effectiveness in a certain part of the world. During tonight's NHL Awards it was announced that Nashville's P.K. 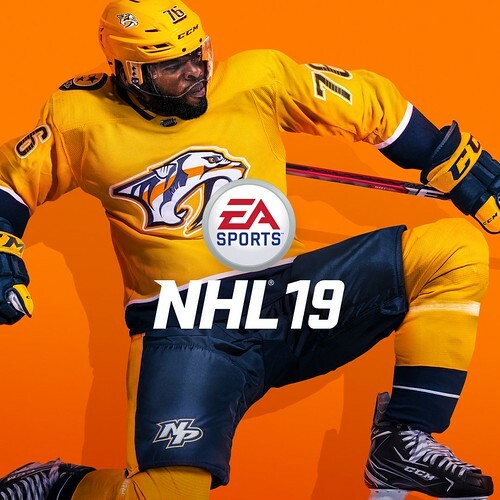 Subban will be on the standard edition cover of NHL 19 while Wayne Gretzky will grace the Ultimate and Legend Editions. 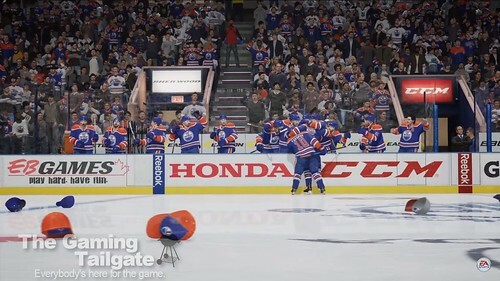 The reveal trailer and press release unveiled the first details on game features, including the World of CHEL. From the press release: In NHL ® 19, the sport returns to the ponds where players can compete under a unified progression hub called World of CHEL that unites EA SPORTS Hockey League, NHL THREES™ Drop In and two new modes, NHL ONES™ and Pro-Am. NHL ONES™ pits three players against each other in a 1v1v1 free-for-all with no rules and no stoppages. Players can win to rank up to new outdoor locations and defend their position as king-of-the-hill. 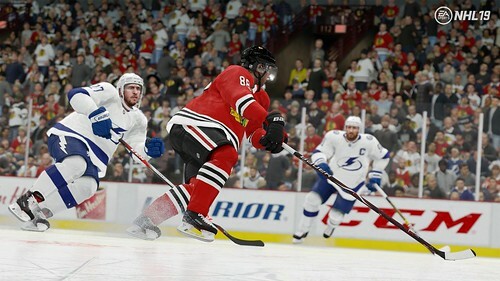 Players can also play in any World of CHEL mode to progress their online Create-A-Character, unlock rewards, and customize their look and their playstyle. The game will include Real Player Motion technology that will also be found in Madden NFL 19 and NBA LIVE 19 this year. In addition, a new agreement with the NHL Alumni Association will allow 200 legends to be in the game. 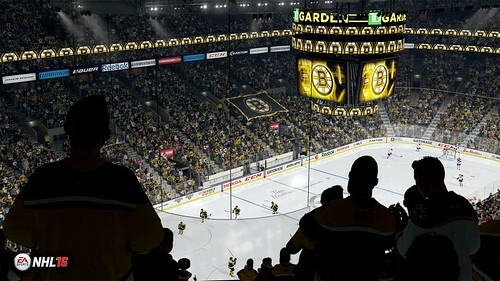 Franchise Mode's biggest area of focus will come in the form of an expanded and in-depth scouting system. Content update #1 is now available for EA SPORTS NHL 18. The update comes in at just under 1 GB in size and addresses fixes and improvements to gameplay, game modes (EASHL, HUT, Online, & Franchise), and Presentation. At tonight's NHL Awards, EA SPORTS announced that the Edmonton Oilers' Connor McDavid will be the cover athlete for NHL 18. 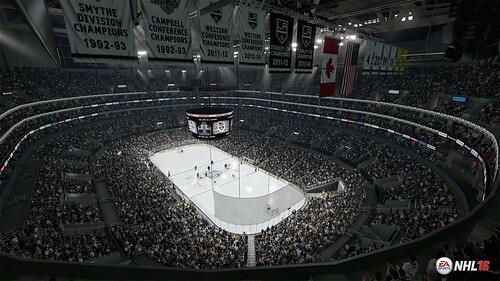 Along with this announcement, EA SPORTS released the official gameplay trailer and the feature set for the title. Some of the features include: new Creative Attack skill moves, new Defensive Skill Stick, new Creative A.I. 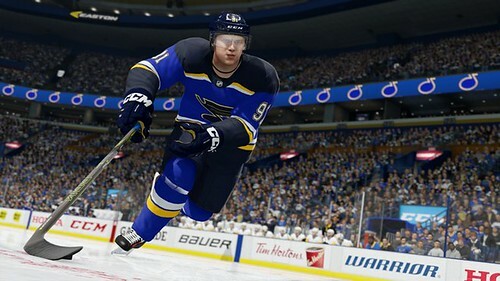 system, NHL THREES arcade 3-on-3 hockey, EASHL 3-on-3, Expansion Draft within Franchise Mode, HUT Solo Challenges, Hockey Training Camp, and more. Users can sign up for the NHL 18 beta at this link. The game will be available September 15 with those who pre-order the Young Stars Edition getting the game on September 12. The Young Stars Edition will include a Connor McDavid Rookie HUT Player item, adidas Custom HUT Jersey, and EASHL celebration, along with one Rookie HUT Player item from the user's favorite NHL team. EA SPORTS has provided the first look at NHL 18 with the release of the official teaser trailer. More game info will be coming on June 21 at the NHL Awards in Las Vegas, NV. 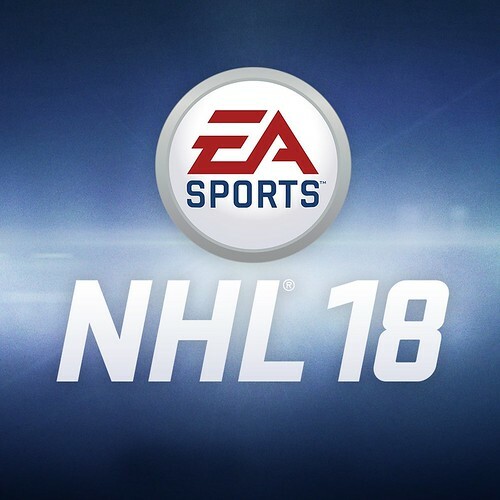 There, EA SPORTS will reveal the NHL®18 cover athlete, first official gameplay trailer, features, release date and more. Content update #3 (title update 1.05) is now available for EA SPORTS NHL 17. The biggest inclusion is the addition of a new feature, Competitive Seasons, within Hockey Ultimate Team. This mode will allow users to compete in a monthly season format to earn rewards. The better the player fares each month, the better the reward that can be earned at the season's end. 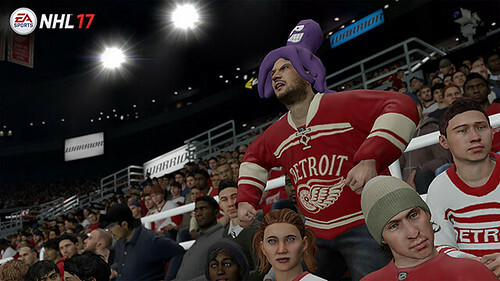 Also included within this update are improvements/changes to gameplay, EASHL, and presentation, along with Tuner 1.02. 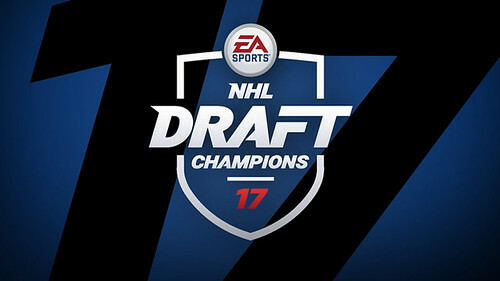 Similar to the mode of the same name in the Madden NFL franchise, NHL 17 will be adding the popular Draft Champions mode. Utilizing a 12-round draft, users will pick from current and former players to build their team. Following the draft, the player can compete offline or online head-to-head where winning four games will help them unlock Draft Collectibles. These Collectibles can them be redeemed as part of sets for top-tier packs and items. EA SPORTS has released a video and detailed blog detailing the changes and improvements coming to Franchise Mode in NHL 17. This year, Be a GM has been rebranded as Franchise Mode and expanded to include complete control of the franchise with the addition of unique team owners that will have their own goals and expectations you must meet as team president. Each owner will be defined by their spending (budget), importance of success, and patience. When beginning a franchise, the owner will also present the user with Primary Goals, Secondary Goals and Stretch Goals. The goals can evolve as the league changes over time. Meet goals to stay employed; disappoint the owner enough and you could even find yourself fired mid-season. As team president, users can set arena and facility prices, upgrade & maintain facilities, along with arena customization. Various factors (including foe, pricing, and team performance) will result in dynamic attendance throughout the season. 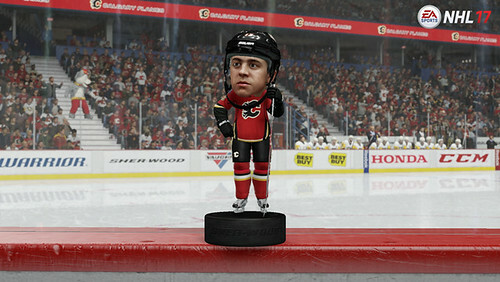 Continue on to read the blogs from EA SPORTS with more information on the NHL Rewards program and Superfan contest. 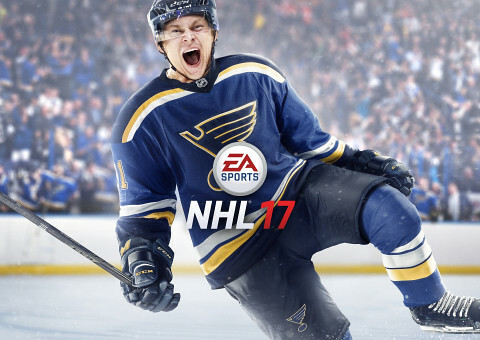 Announced at tonight's 2016 NHL Awards, Blues forward Vladimir Tarasenko will be the cover athlete for NHL 17. During the show, the official gameplay trailer was also revealed. 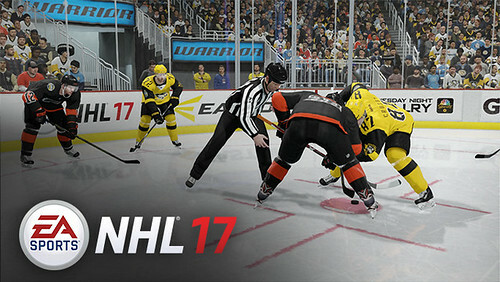 Similarly to last year, fans can play in the NHL 17 beta to help test the game and provide feedback. Users can sign up for the beta now and it will run from July 28-August 4. The feature overview has been released for NHL 17. - Two new features include the World Cup of Hockey and Draft Champions. - Franchise Mode has expanded the aspects a user can control for a team, all while the user must satisfy the watchful eye of the owner who will have goals that must be met. - EASHL returns with a uniform and arena creator. - The ECHL has been added to the game featuring all 27 teams and accurate uniforms & rosters. Unfortunately, the popular GM Connected mode from NHL last-gen does not return this year. Along with the NHL 17 cover vote, EA SPORTS has released a video detailing the developer's "vision" for this year's hockey title. Legacy and establish your own unique legacy is the top theme emanating from the video. 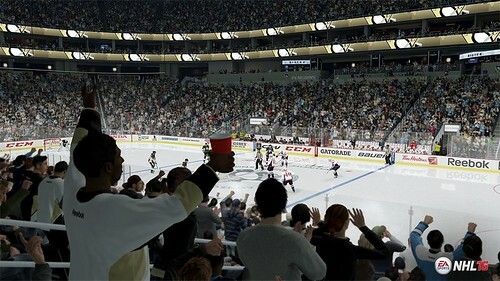 Among the new features briefly discussed or revealed in the clip are franchise relocation and the World Cup of Hockey. During the video narration, NHL 17 is being called by EA SPORTS as their "biggest and most exciting hockey game to date." 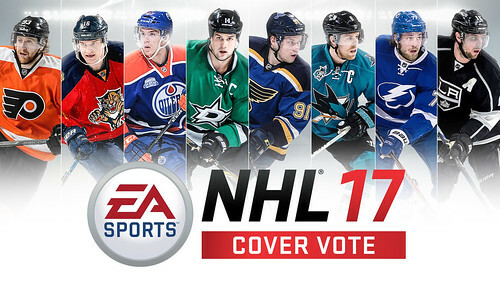 The NHL 17 cover athlete is currently underway and will be determined by fan vote. Eight players will vie for the cover, each representing one of the eight teams competing in the World Cup of Hockey - one of the new features announced for NHL 17. The eight players include Connor McDavid (NYR), Jamie Benn (DAL), Aleksander Barkov (FLA), Victor Hedman (TB), Joe Pavelski (SJ), Anze Kopitar (LAK), Vladimir Tarasenko (STL), and Jakub Voracek (PHI). The winner will be announced June 22 at the 2016 NHL Awards in Las Vegas. Continue on to read the press release from EA SPORTS on the voting process. A new update is now available for NHL 16. 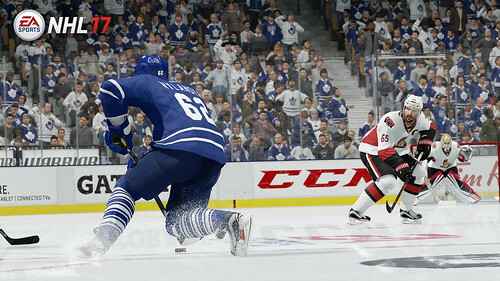 The update addresses several gameplay bugs including an issue where players would remain in the penalty box for the duration of the game and an issue lining up on certain faceoffs, among other issues. It also adds Winter Classic and 3rd jerseys for numerous teams. Game update 1.04 is now available for NHL 16. The update contains a significant number of improvements across gameplay and numerous game modes. 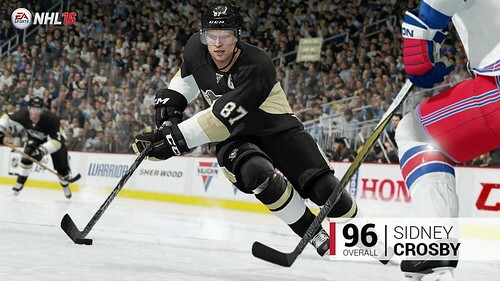 The EA SPORTS NHL development team has begun the release of player ratings for NHL 16. Each day, the top ten at a new position will be released. Currently, the known top players in the game are center Sidney Crosby of Pittsburgh at 96 OVR with three players (Toews, Price, and Weber) tied for second at 94 OVR. Following the reveal of Ignite Engine at E3 2013, fans have been looking and expecting more from the 'Living Worlds' in EA SPORTS titles. 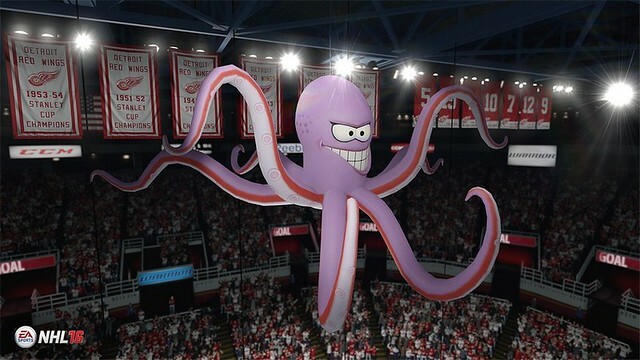 The NHL franchise has been a leader in this regard and expands it even more in NHL 16. In their latest developer blog, the franchise discusses the addition and inclusion of "signature effects and props that are synonymous with arenas from around the league." NHL producer Sean Ramjagsingh has been answering community questions on other arena details via Twitter. Continue on to see arena screens and Twitter answers from Rammer. NHL 16's Be a GM mode will feature player morale, requiring the user to manage player personalities as they build a franchise and compete for the Stanley Cup. Every AHL and NHL player has a unique personality that the user must placate and nurture to keep them and the locker room happy. The four key components of player morale are locker room chemistry, player personality, team meetings, and player meetings. Locker Room Chemistry - Each player will have fellow teammates and players list as having Best, High, and Low Locker Room Chemistry with them. 'Best' Chemistry could list a player on another team. Should you trade or demote a player that someone has high chemistry with, it could make them unhappy, lowering their morale and overall rating. Player Personality - Some personalities will be happier with on-ice victories versus the status of the locker room. Others may care more about locker room harmony and less about other decisions made by the team. Team Meetings - 30 different key events will allow the user to address the team. Depending on their current status and how you address them, their morale and overall rating will change. Player Meetings - 20+ specific conversations with individual players can impact the individual player morale. 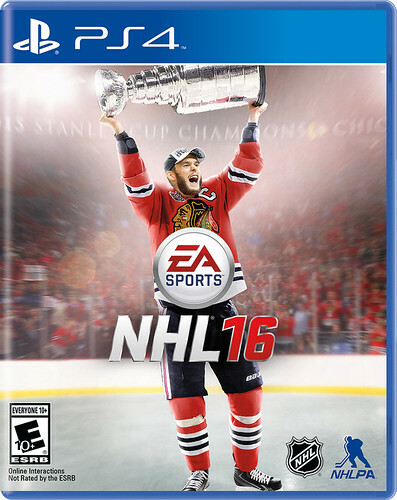 Following the legal investigation into Patrick Kane, EA SPORTS has dropped Kane from further involvement with the marketing and promotion of NHL 16, making Jonathan Toews the solo cover athlete for the title. 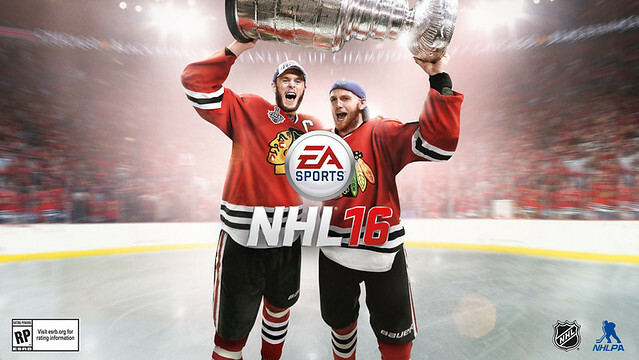 Fresh off a Stanley Cup Championship, Chicago Blackhawk teammates Jonathan Toews and Patrick Kane have been announced as co-cover athletes for NHL 16. The revealed 'cover' image has drawn significant criticism from the community, but it is unknown if it is the final version for retail. Traditionally, EA SPORTS has released a 'placeholder' cover for the initial athlete reveal only to update the cover following a photo shoot. However, their most recent cover reveals (Madden NFL 16, NBA Live 16, Rory McIlroy PGA TOUR) featured the final cover.